Today’s world is basically run via e-mail, text messaging and instant messenger. The advancement in such technologies has turned things that were traditionally printed on paper, like resumes, into digital forms as well. Most large companies even bill their clients via the internet, also known as online billing. According to a recent national survey, the majority of Americans say that they receive a significantly less amount of “paper” mail, in their mailboxes, than they did 10 years ago. It is important to note the fact that paper resumes are definitely less popular in today’s world, but their decrease in popularity and made them an even more effective tool in the job marketplace. With this being said, paper resumes have become significantly less popular among employers looking to hire new employees. People tend to ask, “Why is this?” Let’s take a look at why paper resumes have become less popular among people on the job hunt, but actually more effective in landing that job of your dreams. It is obvious that uploading a digital resume to ten different online job applications is far easier than addressing ten envelopes and mailing them to different companies with you resume inside. This is one of the reasons that many people seeking a job have turned to digital resumes. They don’t require a printer or paper and can be uploaded to a job application in a few seconds time. After looking at the increase in convenience of digital resumes it is a wonder that anyone would send a traditional resume to a potential employer. If you take the time to send a paper resume to a potential employer you may very well benefit from the effort put forth. Most CEOs of large companies say that receiving a paper resume, among the hundreds of resumes submitted online, is a refreshing and eye-opening event. Basically, a paper resume can cause an applicant to stand out from the large crowd of other applicants. You must remember that most business owners and heads of the hiring departments have been in the business for years, meaning they tend to be old-fashioned. Just because technology has advanced far past their technical skills doesn’t mean their mindset has advanced at the same pace. The bottom line is that, in general, employers love to see something traditional, like a paper resume. 1. Don’t get fancy with the font. Picking a fancy or unique font will often times act as a detriment because of the fact that they are not typically easy to read. 2. If your cover letter and resume combined are more than two pages then you shouldn’t fold them up in a traditional envelope. Buy an envelope that allows the papers to lay flat. 3. Use a high quality type of paper to give your resume a better sense of credibility and prestige. 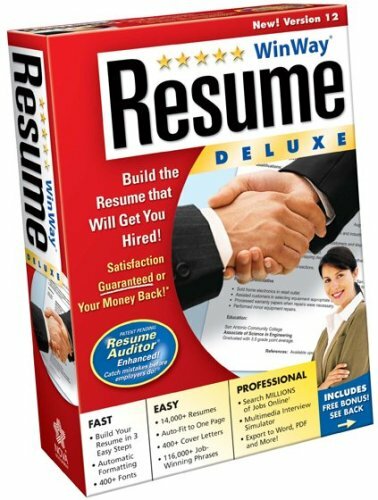 Jason Kay is a professional resume writer and regular contributor to JobGoRound.com, which provides job search tips, interview advice, and resume builder reviews. ← Cover Letters and Resumes – Does Paper Really Matter?